Holding a party? Looking for a good mingle? 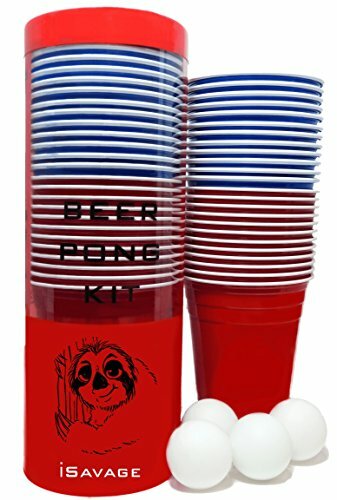 Spice the fun up with this beer pong kit from iSavage for the ultimate drinking game! Forget about trying to come up with games, just style your party or event with this party set to have a good time! WHAT'S SPECIAL ABOUT THIS KIT? ▶ Instructions around packaging - perfect for people who are just getting started with beer pongs! Excellent set for people with the 'I am the party' mindset to carry around. ✅ Sloth: logo only, will need to find your own sloth if desired. ✅ To get your very own beer pong set, choose the iSAVAGE beer pong kit now! ✔ BASIC BEER PONG RULES ON PACKAGE- get familiarize with the game quick! If you have any questions about this product by iSavage, contact us by completing and submitting the form below. If you are looking for a specif part number, please include it with your message.